Why should you do business with an Extended Auto Warranty Broker? Land Rover Extended Warranties is an independent broker for a number of nationally recognized Auto Service Contract Programs, (aka Extended Auto Warranties). This gives us the advantage of shopping for the best program for your particular needs. Our Service Contract Programs adhere to Federal Trade Commission (FTC) Facts for Consumers. See www.ftc.gov We do not have any outstanding complaints with any consumer oriented and (or) governmental agencies. Our rates are very competitive when program-to- program comparisons are made with both Auto Dealers and Internet Websites. We offer immediate coverage with No Waiting Period, for vehicles still under factory warranty, or those that pass visual inspection. We will negotiate on your behalf , on any gray area claim disputes with provider administrators, on a case by case basis. We do not "Bait and Switch". You will always be offered the most comprehensive agreement for your rover the First Time Around. If you prefer simpler coverage, a lower premium policy can be tailored to meet your needs. WE ARE THE ONLY COMPANY IN THE WORLD THAT OFFERS "EXCLUSIONARY" FACTORY LIKE EXTENDED AUTO WARRANTY AGREEMENTS FOR USED VEHICLES UP TO 60 YEARS OLD WITH LESS THAN 150,000 MILES ON THE ODOMETER. MANY DEALERSHIPS, CREDIT UNIONS, AND INTERNET WEBSITES ONLY OFFER "LISTED COMPONENT" AGREEMENTS AFTER 50,000 MILES AND 5 YEARS OLD. Land Rover Extended Warranties is an independent broker of Vehicle Service Agreements (a.k.a. Extended Auto Warranties), and offers Factory Like Coverage for Newer and Used vehicles (as well as most other vehicles). The companies we represent are A, A+ and A++ rated by AM Best, and re- insured by some of the largest insurance carriers in the world. Coverage’s range from $500 to $4100 (Approx. 50 cents to $2 per day over 5 years). Enjoy your travels and drive with peace of mind. Full roadside assistance, towing, trip interruption, rental car, etc. included in most agreements. Good at all certified shops and dealers – nationwide and in Canada. Cover tomorrow’s repair cost at today’s prices, out to 10 years, if applicable. No Dealer mark-ups – Save $500 to $1000 on comparable coverage’s. Comprehensive coverage can be written up to 150,000 miles on the odometer. If your rover is sold, most agreements are transferable to a private party for a small fee. Helps you maintain your resale value (15% to 25% higher) and your rover sells faster in the open market. If traded in or stolen, you receive a pro-rata refund on your agreement. ADD 20% to 50% on these costs for high-end vehicles. * If zero deductible option is chosen. 1) What is an extended auto warranty affect my rover ? An extended warranty is an agreement between the rover owner and Warranty Company, obligating the warranty company to pay for repairs covered by the contract for a specific period of time. 2) What exactly does an extended warranty cover? 3) Why do I need an extended auto warranty? 4) Why should I purchase an extended warranty now? 5) What about the deductible? 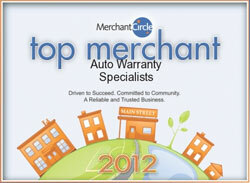 6) What type of auto warranty can I buy? Power train Warranty: Covers the engine, transmission, and other parts of the Drive train only, which is defined as the 29 parts of the vehicle through which oil flows. These are the parts least likely to fail. 7) Can I still obtain extended auto warranty coverage? 8) How does the claims process work? 9) Why do rover dealers sell extended warranties? 10) How do I resist the pressure to buy right away? 11) What if I decide I do want an extended warranty? 14) What is a Double Warranty? 15) How do Extended Warranties help resale? 16) What if I did get an extended warranty from the rover dealer? 17) When should I buy an extended warranty for my rover? 18) Extended warranties on a used rover? 19) Extended warranties on a leased rover? Buying a car? You also may be encouraged to buy an auto service contract to help protect against unexpected, costly repairs. While it may sound like a good idea, don't buy in until you understand both the terms of the contract and who is responsible for providing the coverage. A service contract is a promise to perform (or pay for) certain repairs or services. Sometimes called an "extended warranty," a service contract is not a warranty as defined by federal law. A service contract may be arranged at any time and always costs extra; a warranty comes with a new car and is included in the original price. The separate and additional cost distinguishes a service contract from a warranty. Does the service contract duplicate any warranty coverage? Compare service contracts with the manufacturer's warranty before you buy. New cars come with a manufacturer's warranty, which usually offers coverage for at least one year or 12,000 miles, whichever comes first. Even used cars may come with some type of coverage (see table below). You may decide to buy a "demonstrator" model — a car that has never been sold to a retail customer but has been driven for purposes other than test drives. If so, ask when warranty coverage begins and ends. Does it date from when you purchase the car or when the dealer first put the car into service? Who backs the service contract? Ask who performs or pays for repairs under the terms of the service contract. It may be the manufacturer, the dealer, or an independent company. Many service contracts sold by dealers are handled by independent companies called administrators. Administrators act as claims adjusters, authorizing the payment of claims to any dealers under the contract. If you have a dispute over whether a claim should be paid, deal with the administrator. If the administrator goes out of business, the dealership still may be obligated to perform under the contract. The reverse also may be true. If the dealer goes out of business, the administrator may be required to fulfill the terms of the contract. Whether you have recourse depends on your contract's terms and/or your state's laws. Learn about the reputation of the dealer and the administrator. Ask for references and check them out. You also can contact your local or state consumer protection office, state Department of Motor Vehicles, local Better Business Bureau, or local automobile dealers association to find out if they have public information on the firms. Look for the phone numbers and addresses in your telephone directory. Find out how long the dealer or administrator has been in business, and try to determine whether they have the financial resources to meet their contractual obligations. Individual car dealers or dealer associations may set aside funds or buy insurance to cover future claims. Some independent companies are insured against a sudden rush of claims. Find out if the auto service contract is underwritten by an insurance company. In some states, this is required. If the contract is backed by an insurance company, contact your State Insurance Commission to ask about the solvency of the company and whether any complaints have been filed. How much does the auto service contract cost? Usually, the price of the service contract is based on the car make, model, condition (new or used), coverage, and length of contract. The upfront cost can range from several hundred dollars to more than $1,000. In addition to the initial charge, you may need to pay a deductible each time your car is serviced or repaired. Under some service contracts, you pay one charge per visit for repairs — no matter how many. Other contracts require a deductible for each unrelated repair. You also may need to pay transfer or cancellation fees if you sell your car or end the contract. Often, contracts limit the amount paid for towing or related rental car expenses. Few auto service contracts cover all repairs. Indeed, common repairs for parts like brakes and clutches generally are not included in service contracts. If an item isn't listed, assume it's not covered. * If a covered part is damaged by a non-covered component, the claim may be denied. * If the contract specifies that only "mechanical breakdowns" will be covered, problems caused by "normal wear and tear" may be excluded. * If the engine must be taken apart to diagnose a problem and it is discovered that non-covered parts need to be repaired or replaced, you may have to pay for the labor involved in the tear-down and re-assembling of the engine. You may not have full protection even for parts that are covered in the contract. Some companies use a "depreciation factor" in calculating coverage: the company may pay only partial repair or replacement costs if they consider your car's mileage. When your car needs to be repaired or serviced, you may be able to choose among several service dealers or authorized repair centers. Or, you may be required to return the vehicle to the selling dealer for service. That could be inconvenient if you bought the car from a dealership in another town. Find out if your car will be covered if it breaks down while you're using it on a trip or if you take it when you move out of town. Some auto service contract companies and dealers offer service only in specific geographical areas. * how long it takes to get authorization. * whether you can get authorization outside of normal business hours. * whether the company has a toll-free number for authorization. Test the toll-free number before you buy the contract to see if you can get through easily. You may have to pay for covered repairs and then wait for the service company to reimburse you. If the auto service contract doesn't specify how long reimbursement usually takes, ask. Find out who settles claims in case you have a dispute with the service contract provider and need to use a dispute resolution program. Are new or reconditioned ("like") parts authorized for use in covered repairs? If this concerns you, ask. Some consumers are disappointed when they find out "reconditioned" engines are being used as replacement parts under some service contracts. Also ask whether the authorized repair facility maintains an adequate stock of parts. Repair delays may occur if authorized parts are not readily available and must be ordered. Under the contract, you may have to follow all the manufacturer's recommendations for routine maintenance, such as oil and spark plug changes. Failure to do so could void the contract. To prove you have maintained the car properly, keep detailed records, including receipts. Find out if the contract prohibits you from taking the car to an independent station for routine maintenance or performing the work yourself. The contract may specify that the selling dealer is the only authorized facility for servicing the car. What is the length of the service contract? If the service contract lasts longer than you expect to own the car, find out if it can be transferred when you sell the car, whether there's a fee, or if a shorter contract is available. When shopping for a used car, look for a Buyer's Guide sticker posted on the car's side window. This sticker is required by the FTC on all used cars sold by dealers. It tells whether a service contract is available. It also indicates whether the vehicle is being sold with a warranty, with implied warranties only, or "as is." * Warranty. If the manufacturer's warranty is still in effect on the used car, you may have to pay a fee to obtain coverage, making it a service contract. However, if the dealer absorbs the cost of the manufacturer's fee, the coverage is considered a warranty. * Implied Warranties Only. There are two common types of implied warranties. Both are unspoken and unwritten and based on the principle that the seller stands behind the product. Under a "warranty of merchantability," the seller promises the product will do what it is supposed to do. For example, a toaster will toast, a car will run. If the car doesn't run, implied-warranties law says that the dealer must fix it (unless it was sold "as is") so that the buyer gets a working car. A "warranty of fitness for a particular purpose" applies when you buy a vehicle on a dealer's advice that it is suitable for a certain use, like hauling a trailer. Used cars usually are covered by implied warranties under state law. * As Is - No Warranty. If you buy a car "as is," you must pay for all repairs, even if the car breaks down on the way home from the dealership. However, if you buy a dealer-service contract within 90 days of buying the used car, state law "implied warranties" may give you additional rights. Some states prohibit "as is" sales on most or all used cars. Other states require the use of specific words to disclaim implied warranties. In addition, some states have used car "lemon laws" under which a consumer can receive a refund or replacement if the vehicle is seriously defective. To find out about your state laws, check with your local or state consumer protection office or attorney general. If you're told you must purchase an auto service contract to qualify for financing, contact the lender yourself to find out if this is true. Some consumers have had trouble canceling their service contract after discovering the lender didn't require one. If you decide to buy a service contract through a car dealership — and the contract is backed by an administrator and/or a third party — make sure the dealer forwards your payment and gives you written confirmation. Some consumers have discovered too late that the dealer failed to forward their payment, leaving them with no coverage months after they signed a contract. Contact your local or state consumer protection office if you have reason to believe that your contract wasn't put into effect as agreed. * maintain an adequate financial reserve to pay claims. * base their contract fees on expected claims. Some service providers have been known to make huge profits because the cost of their contracts far exceeds the cost of repairs or services they provide. * seek approval from the state insurance office for premiums or contract fees. To report contract problems with a service provider, contact your local and state consumer protection agencies, including the state insurance commissioner and state attorney general. If you need help resolving a dispute, contact the Better Business Bureau, the state attorney general, or the consumer protection office in your area. Also, contact law schools in your area and ask if they have dispute resolution programs. The FTC works to prevent fraudulent, deceptive and unfair business practices in the marketplace and to provide information to help consumers spot, stop and avoid them. To file a complaint or get free information on consumer issues, visit ftc.gov or call toll-free, 1-877-FTC-HELP (1-877-382-4357); TTY: 1-866-653-4261. Watch a new video, How to File a Complaint, at ftc.gov/video to learn more. The FTC enters consumer complaints into the Consumer Sentinel Network, a secure online database and investigative tool used by hundreds of civil and criminal law enforcement agencies in the U.S. and abroad.